Are you new to real estate investing or a seasoned pro? Either way, you’re gonna want to keep reading. I’m sharing a strategy you might want to try. How do I know it works? Because I’m using this strategy right now and I’m giving you a look at the numbers… the real numbers… that have come in over the past 100+ days. So, What’s the Strategy in a Nutshell? Before I get to that, let’s talk about something we can all wrap our heads around. You know when you walk up to a vending machine and are willing to pay a buck or more to get that soda or snack you want at that very moment? At that same moment you could choose to head to the nearest grocery store where you could pick up a pack of soda or a bunch of snacks for a whole lot less. If you go to a big box store, you could pay close to wholesale. But you don’t want the hassle; you want your soda and you want it now. That’s kinda how short-term rental properties work. People need a place to stay on a certain date, your property looks great and they book. Just like that. They are willing to pay the price vs. staying at a cramped hotel or staying with friends or family. And that’s the strategy I’ve used over the past 100+ days to earn close to $100K. No kidding. Yes, I have more than one unit… in fact, I’m currently working to get my 9th (and maybe even the 10th, 11th, 12th, 13th and 14th at the same time). With 8 units, I do okay. More than okay. It’s a winning strategy… and not just for me. I know a handful of people doing this now and we share a lot of info between us. I know people who earn $4K from a single house most months and that’s the cashflow, which means the money AFTER expenses. Plus do things that make your life a whole lot less complicated in the management of the properties. 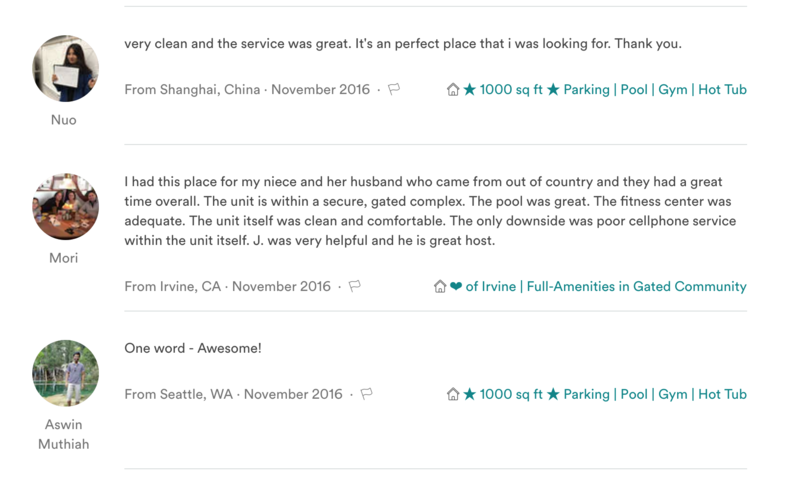 The cool thing about this short-term-rental strategy is that you can do it… because it’s not brain surgery. It just takes setting systems in place. Once you do that, something else that’s pretty neat starts happening. It’s called happy guests who leave 5-star reviews. Why is that something you want? Because the more happy guests (i.e., your customers) the more bookings you’ll get. People read reviews. Don’t you? The deal is that you have to look at this as a business and run it as such. There are things you can do and should do beyond what the average host of a vacation rental property or short-term rental property might do. 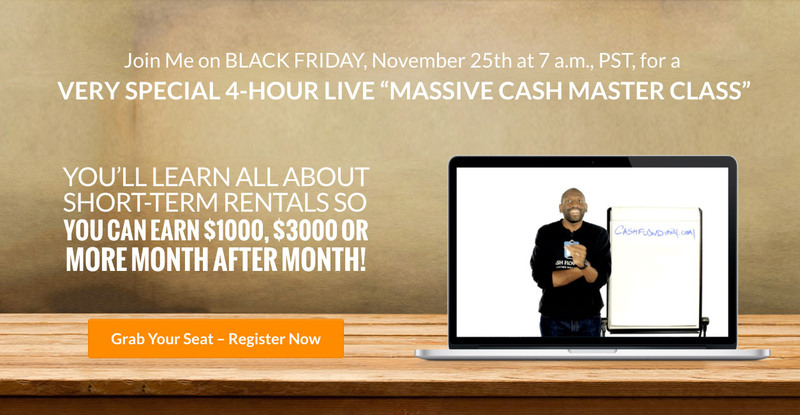 BTW, I had a BLAST teaching participants of the Massive Cash Master Class on Black Friday. They had GREAT questions and walked away ready to take their first short-term rental property down!! For me, it doesn’t get better than teaching others how to do what I do… and teach them things that they can do to literally change their life’s path, leave the 9-to-5 if that’s their goal and expand their thinking beyond the norm. Who wants to be an average thinker anyway? It’s boring. Plus, that’s what limits our beliefs in what we can achieve. Don’t limit your beliefs. Take courses on real estate investing… get in on the replay of my Black Friday web class… or any of our courses. Fill your mind with great information that you can use immediately (even starting today) and lots of positive things. Dare to learn new skills. How else will you create the life you really want? Earning $27K in 30 Days is GREAT, but What Your Customers Say about You Is Even Better! !